On July 9, 2011, the Republic of South Sudan became Africa’s newest State. First recognized by its former host Sudan, it subsequently received recognition by other States in the international system along with the major international organizations. South Sudan emerged from protracted war that had raged in the region for decades. In the course of the late 19th century the region was forcefully incorporated into the polity that was later to become the independent Sudan, but violent resistance to centralized rule persisted. Already shortly prior to its independence, Sudan was at war with itself because unaddressed grievances among Southern Sudanese elite had resulted in armed opposition. From the early 1960s onwards, the scattered violent opposition had matured into a more organized rebellion, and it was only in 1972 when the major hostilities ceased as a result of the Addis Ababa Peace Agreement mediated by the Ethiopian Emperor Haile Selassie. 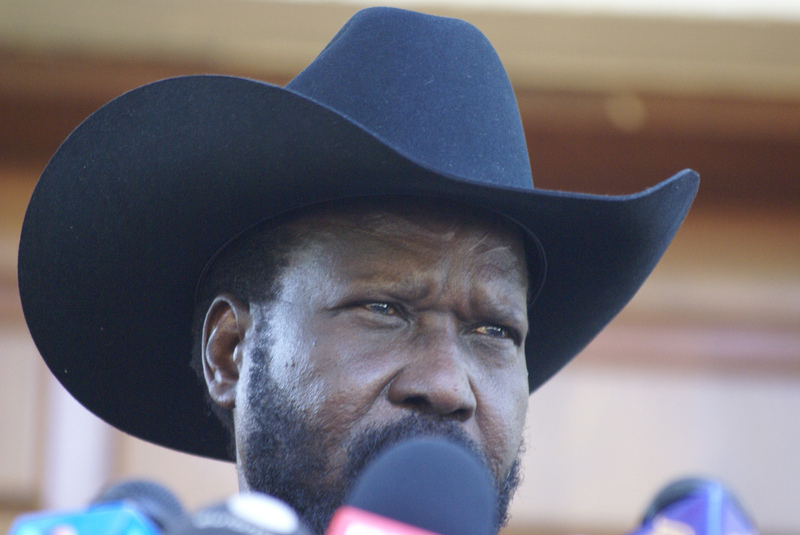 The Agreement addressed some political grievances by giving Southern Sudan self-government and a limited autonomy, but residual, many of them secessionist, sections of the armed opposition continued armed violence. However, even the relative peace in Southern Sudan was short-lived. About a decade later, in 1983, war broke out again as organized mutinies among disgruntled southern army units took place. Soon after, the Sudan Liberation Movement/Army (SPLM/A) was founded with Ethiopian support, and Addis Ababa dictated that SPLM/A adopt a revolutionary stand instead of embracing secessionism. Although wrangling over the main objective of the liberation struggle had begun decades prior to the founding of the movement, the continuing disagreements again created divisions, defections, and serious armed violence between distinct factions within the southern armed opposition. This legacy triggered largely regional, ethnic, and sub-ethnic/clan-based divisions and fighting after the fall of the movement’s main backer, the Ethiopian Mengistu regime, in 1991. The Sudanese government was somewhat successful in exploiting these divisions and periodically supported some of the factions, such as Riek Machar’s South Sudan Defense Force (an offshoot of the splinter group SPLM/A-Nasir), against the SPLM/A-Mainstream headed by John Garang. Yet, by late 1990s the Sudanese government was internationally isolated and under militarily pressure by the armed opposition backed by the neighboring states (mainly Eritrea, Ethiopia, and Uganda) and the United States. Due to its weak position, Khartoum was obliged to engage in negotiations mediated by the sub-regional organization, Inter-Governmental Authority on Development (IGAD), and backed by a number of Sudan’s neighboring and interested Western states. These negotiations eventually produced the 2005 Comprehensive Peace Agreement (CPA), which was essentially a power-sharing treaty between the Government of Sudan and SPLM/A. In the 2005 agreement, Southern Sudan again gained regional self-rule and a limited autonomy. However, this time it also secured a referendum for self-determination after a six-year interim period during which its future status either as part of Sudan or as a separate state would be decided. Crucially, the CPA also allowed the rebel SPLA to remain as the main army securing Southern Sudan unlike the earlier Addis Ababa Agreement which had dictated integration of the former rebel forces and left Southern Sudan without a protective force to guarantee its regional self-rule. Following a referendum in January 2011 South Sudan, essentially kept together through a collection of alliances between SPLA generals and other leaders commanding armed constituencies, finally emerged as Africa’s 54th state. However the legacy of decades of war maintained political instability that eventually gave way to the resumption of large-scale armed violence in December 2013 as a result of a power struggle in the SPLM leadership. Since then South Sudan has been torn by a civil war, largely fought along ethnic lines, in which the President Salva Kiir’s forces have faced the main opposition, Sudan People’s Liberation Movement-In-Opposition led by Machar (former Vice-President sidelined by Kiir) and other armed groups. The result has been widespread atrocities and human rights violations, millions of internally displaced, and over half a million refugees in the neighboring states. The power-sharing and state re-structuring Agreement on the Resolution of the Conflict in the Republic of South Sudan (ARCSS) reached in August 2015 has been unable to end the hostilities which have resulted in the country succumbing increasingly into anarchy. Currently, there is a high chance of widespread ethnic violence despite the current convergence of interests by regional players to contain the fighting. Finally South Sudan’s current instability is likely to continue, but its worst effects could be avoided by successful SPLM/A leadership reconciliation and by serious commitment towards remedying the rampant high-level corruption, warlord politics, and the associated exclusive political and economic clientelism which all contribute to the widespread grievances behind armed violence.